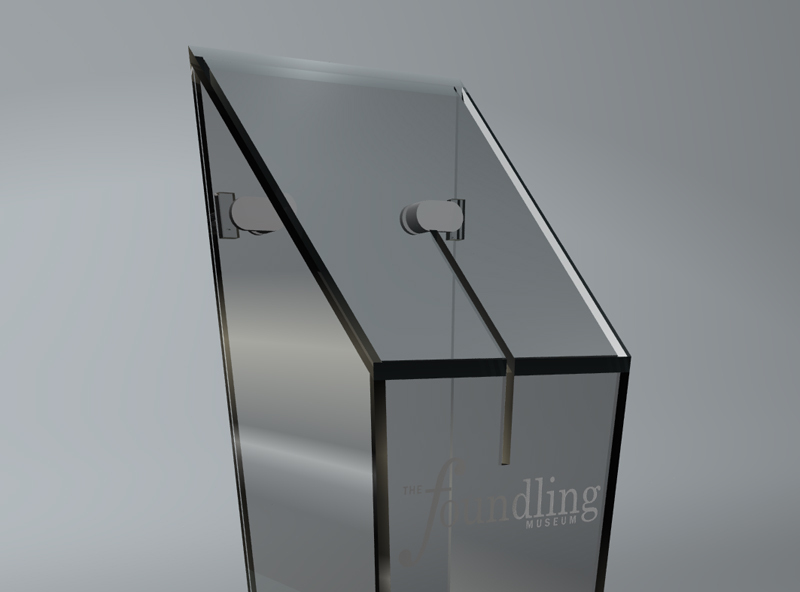 The Foundling Museum’s new Donation Box has been developed with inspiration from the Foundling Museum’s existing architecture and choice of materials. The aim has been to develope a donations box in line with the museum’s exterior environment to further extend the visitor’s experience of the museum entrance, yet keeping it in a classic and attractive design. 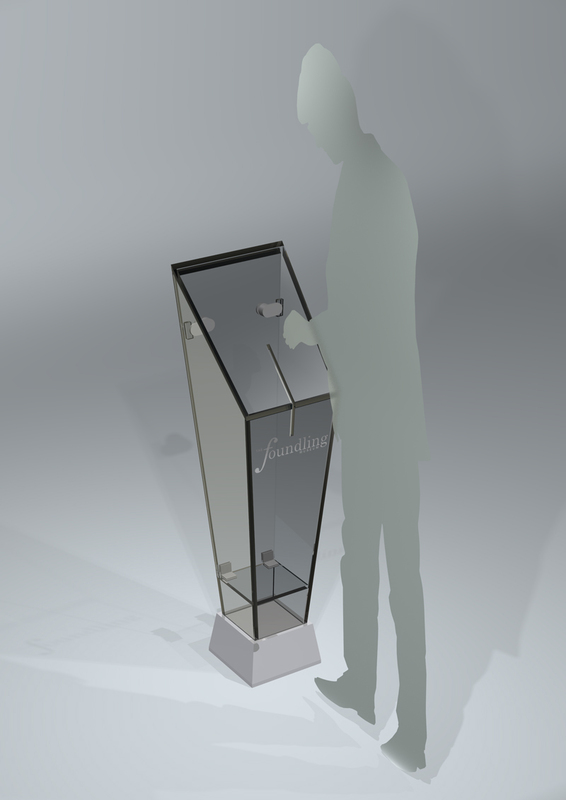 The Foundling Museum’s Donations box is manufactured in a 12 mm thick high-impact poly-carbonate. 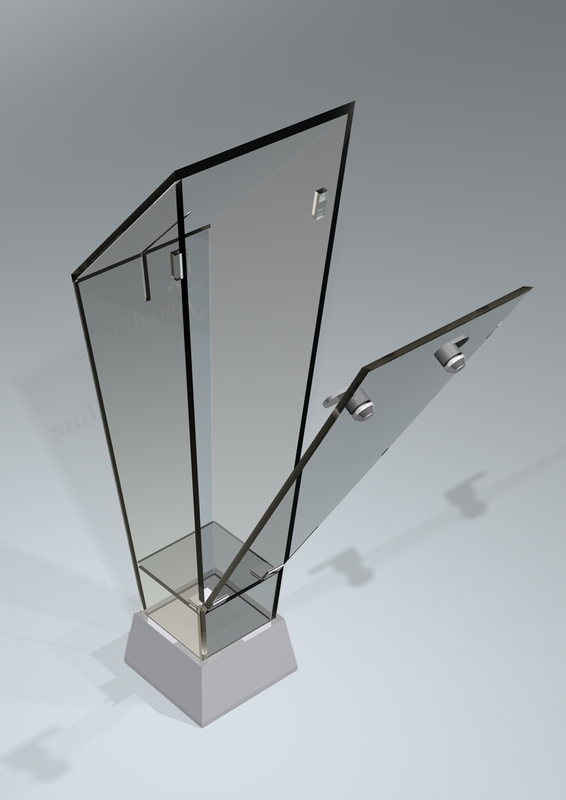 A strong but light-weight material considered difficult to break and fracture-proof hence known as bullet-proof glass. 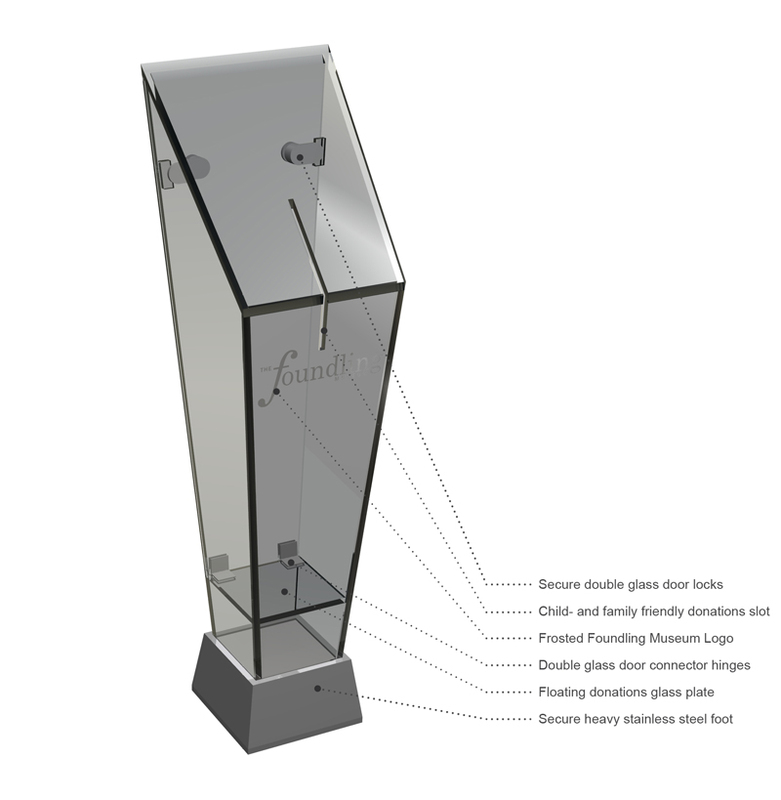 By using a vertical and central axis as the donations slot on the front of the Donations box it makes donations attractive and friendly for both family and children. Making it very easy to use and stimulating donations. The floating donations glass plate helps to make the donations visible and creates a “magic” feeling of floating donations. A visual and stimulating Donations Box! Secure donations yet easy accessable! The Foundling Museum’s Donations box is secured by two glass door safe locks but yet easy access to the donations through the hinged rear glass door. According to UK proffessional model-construction company Artful Construction the production costs is estimated to be within the museum’s £1000 budget.